And everyone knows that painting the cabinets, changing out countertops and backsplash, getting new appliances, door hardware, and lighting can really make a difference in how your kitchen looks. Yes, I agree. However, sometimes, it really looks like you just merely painted the cabinets. :-) And it’s not really all that. Like if it was just a little bit more / a fraction of the whole cost more… Wow! It could be truly dramatic. Which, really, would be longer lasting and make you happier in the long run. No? After seeing a jillion images on Pinterest of kitchens that were remodeled in the way described above, I think many fell shy of what they could have been. So, that’s why today I thought I’d share where I think the most dramatic and significant change in a kitchen can be made when remodeling. While you may think some of those cabinets aren’t so short and squatty, it’s not really just their actual height I’m referring to. I’m referring to how tall they are in relation to the ceiling height, their cheaper quality construction that is highly visible, and the monotonous horizontal line of cabinetry, as well. All of that is what makes them a target for renovation. Okay, so you know they’re not great, but you need the storage. Perhaps you just don’t want to redo that much. Maybe you just haven’t noticed how short, squatty looking and dated your upper cabinets appear in your kitchen. Maybe you’re thinking about your kitchen cabinets as a “set” with your base cabinets, and you think they should match. Maybe you’re not thinking in terms of dividing the two as separate elements in your kitchen. I can tell you that your base cabinets really don’t matter that much, visually. 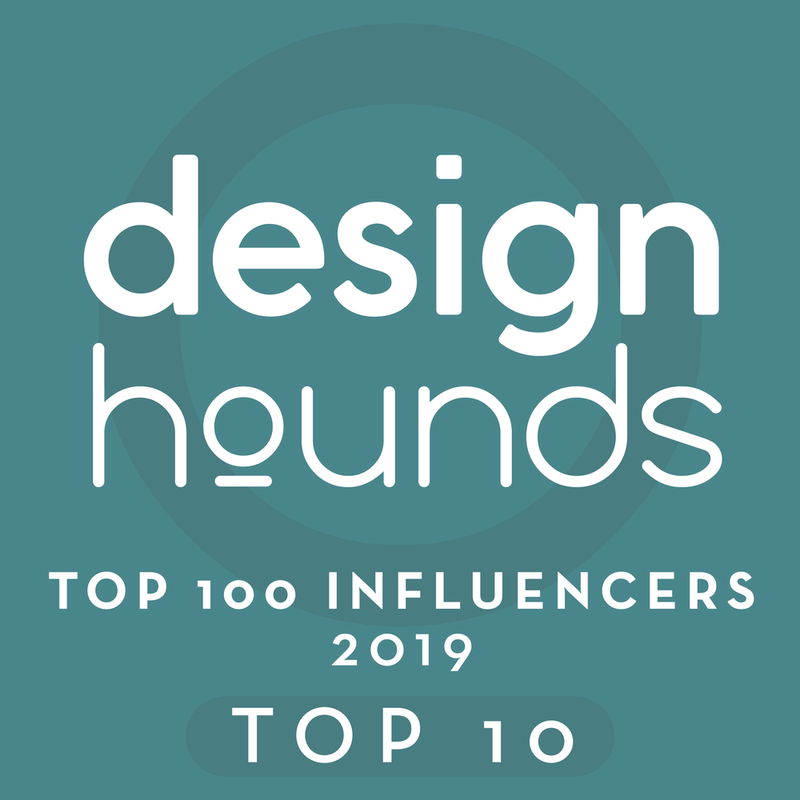 They are lower on the design totem pole. (Of course, it would be nice to have new lower cabinets, better storage capacity and functionality, prettier design and materials, etc. If you can swing it, go for it.) BUT, in the whole scheme of the kitchen design, they aren’t nearly as visible as the uppers. And you can paint or finish them the color of the floor or the counter and then they will just visually go away. Those upper cabinets, at eye level and up, are right there in your face and are extremely visible. That’s where your eyes go when you look at a wall in your kitchen. They go to the place that’s right in front of them! Therefore, that’s what you need to fix. You need to fix the most visible thing in your kitchen. That’s what will make the greatest impact. And there are a variety of ways to do that. 1. You can rip them out completely and do open shelves. (I know, everyone reading this is booing that, but it’s looks amazing and is so on trend.) It’s also inexpensive! We did open shelves in this project and they look so much better than those short cabinets. I advised my mother-in-law to do it to her rental house, too. Maybe you can just do one section in open shelves and then create more storage elsewhere? Maybe the most visible wall of your kitchen would be the best place to do something like this. 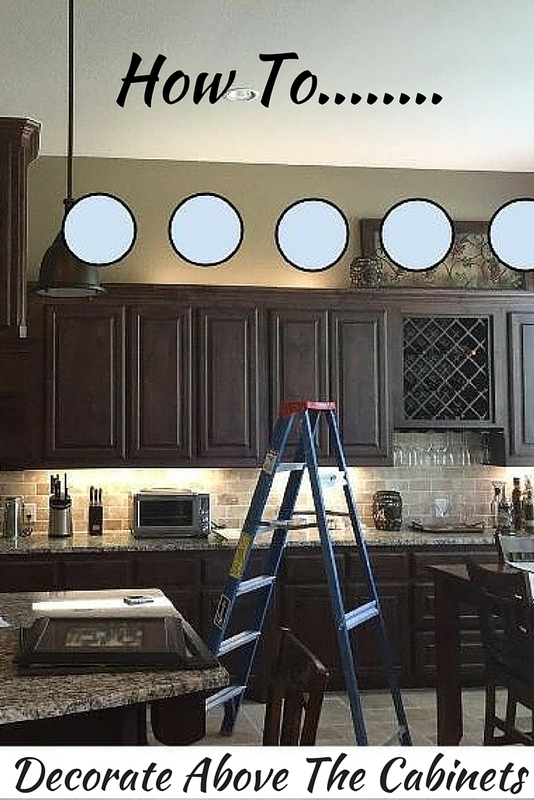 BEFORE & AFTER: A Dark, Dismal Kitchen Is Made Light & Bright! 2. You can add to the top of the existing upper cabinets with additional small cabinets to extend the height. OR you can just build a mini-box up there and add moulding. I’ve done that on this project and this project. Here’s how we added a boxed-in space with moulding on another job. BEFORE & AFTER: A Brown And Gold Kitchen Goes Light And Bright! 3. You can, at the very least, paint the cabinets the color of the wall. Or you can select the backsplash to blend with the color of the cabinet, so that, visually, the cabinets don’t stand out. In this project for a young bachelor, we did the backsplash in the same color as the upper cabinets so that the real visual divide in this kitchen was at the slice of dark black-brown countertop that ran through the kitchen. Years ago, in this kitchen remodel, we painted these to match to the wall to blend the envelope of the room into one element so that the island stood out more. You really don’t notice the gap at the ceiling, do you? 4. You can, very thoughtfully, use decor to extend the height of your cabinets. Be very careful here, as I don’t usually ever advise it, but there is a right way to do it and a wrong way (in my opinion). I have done a few Designed-in-a-Click consultations where I advised people how to do that, HERE and HERE. 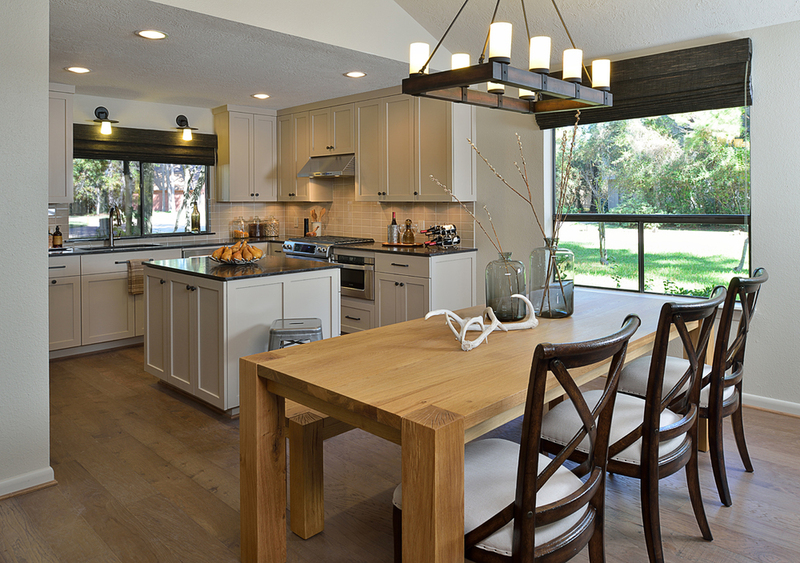 Ultimately, you should just consider how you want your kitchen to look at the end and how you want to feel about it. Do you want to feel like you’ve got a whole new space? After you spend all that money and go through all the trouble to paint and redo most of it, don’t you want to feel like you won’t have to do it ever again? Don’t you want to feel like you’ve done everything you can do? Don’t you want to not be reminded of that previous kitchen every time you walk in the door?